with private bathroom. Get an instant quote today. A guest house is a small hotel with a homely atmosphere. The emphasis is on a personal and individual service for guests. Depending on budget, a room with or without a private bathroom can be chosen. Breakfast is included and dinner is optional at some guest houses. Rooms have tea/coffee making facilities and a television. 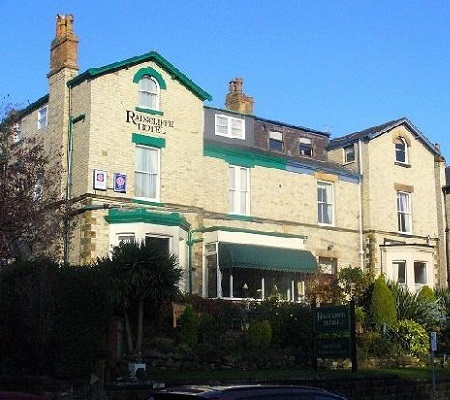 The Raincliffe Hotel is a popular choice with our students. It is a guest house (B&B), which is situated just a ten-minute walk from Anglolang. It is a Victorian building that has operated as a guest house for over 50 years. It was built in 1888 and retains much of its period charm. 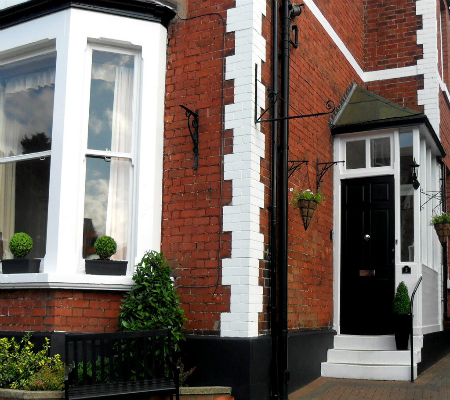 The Powys Lodge is a family run seven room Victorian guest house situated in the popular and picturesque South Cliff area of town and is only a 12 minute walk from the school. All rooms have flat screen colour TV and free Wi-Fi access.